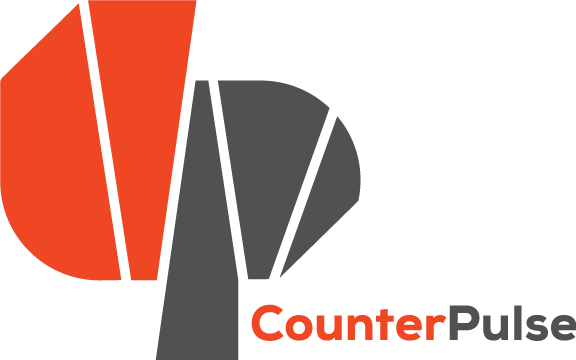 CounterPULSE and the University of Chichester have joined forces once again to provide a creative platform for artists from SF and the UK to work together. This time around we are partnering to bring together emerging British artists with a range of local artists and theatre-makers in June/July for a Summer Intensive program at Z Space. For more information on the intensive visit the University’s website here. As part of this exchange, CounterPULSE will present the works of the visiting UK-based artists Susie Timney, Box Tracy and Darren Purnell. 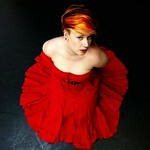 Susie Timney will present her piece Bare (8 Shades of Red), an autobiographical solo performance. Using elements of cabaret and burlesque, Susie will take you on a journey through the most significant moments of her life so far. Taking you on a titillating tour through feathers and frustration, the piece explores what happens when you are afraid to “bare all”, both emotionally and physically, and exposes the power, the pain and the pleasures that come from daring to trust. Using 8 shades of red, and 8 personal experiences, she explores her challenging issues and faces her fears, leaving herself Bare. Susie is a graduate artist from the University of Chichester, currently studying for an MA in Performance (Theatre). Box Tracy present their latest work Tales of the Tombola. Nixx Strapp-Freeman and Valerie Watkinson have built a unique relationship and Tales of the Tombola explores their ever growing friendship. For anyone out there with a mate who’s more like a sister/brother/lover… you’ll know what they mean. Using dance, text and a granny bag full of props their collection of stories evolve sharing with you the tragic, hilarious and crude moments that brought them together. Nixx Strapp – Freeman is a Graduate Artist of the University of Chichester, studying an MA in Performance (Theatre Collectives). Darren Purnell brings his drag-persona La Bouche on a micro-tour of the San Francisco nightlife and drag scene. La Bouche lip syncs slowed down classic drag numbers and different songs as well as spoken texts. She covers ideas such as the notion of the mask, the male body and sexuality.